My family put together a few Homeless Socks a couple years ago. 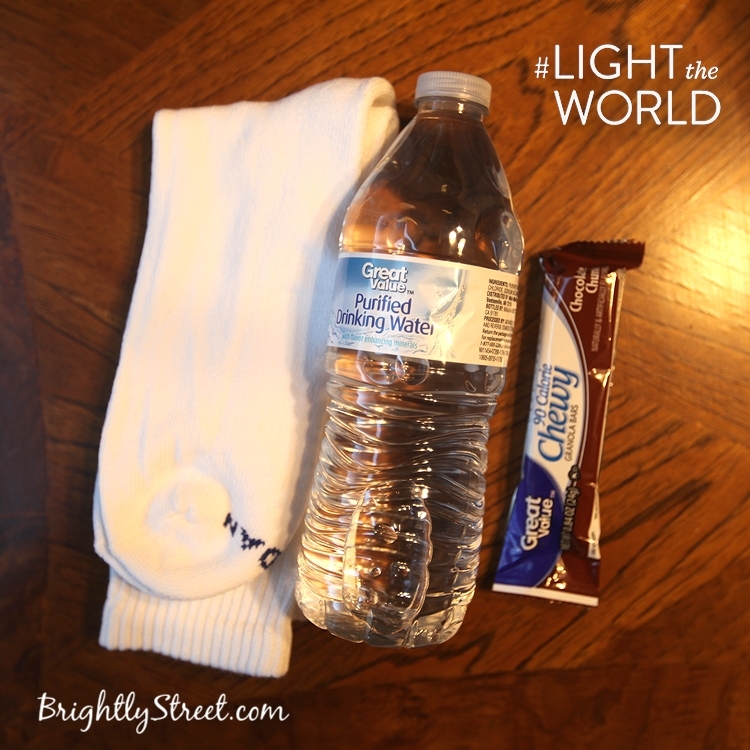 We just left them in the car and when we saw someone in need, we would pass along a sock filled with a few things. I thought it would be a great addition to this years #LIGHTtheWORLD campaign to serve more during the Christmas season. They are really simple to make, but can help turn our hearts to others this Christmas season. Just put everything in the sock and leave them in your car. Anytime you see someone in need, pass along the stuffed sock! That's it! It's a simple list. You can add anything else you want, but if you keep it simple you can make a lot more and just add a couple dollars inside the sock too for the person to buy a hot meal.